Family volunteering holidays have rocketed over the last few years and it’s easy to see why. For adventurous families with older kids (aged 7/8+) family volunteering holidays give, not only an unique insight into a country but offer a deep, rewarding experience, a chance to give back and a real opportunity to switch your kids on to world issues. Fast becoming the new way to travel, family volunteering holidays come in all shapes and sizes and offer a host of positive outcomes from re-connecting with teenagers, spending quality time solo with just one of your tribe, or simply getting to know a country inside out. Read our recent post Family Volunteering Can Change Your Life to read 10 reasons why we believe every family would benefit from volunteering together. With my 10 year old daughter, I flew out to Borneo to volunteer on the The Great Projects’s family volunteering project. You can read all about our adventures on our family volunteering holiday below. Where were we in Borneo? What is the ‘Corridor of Life’? 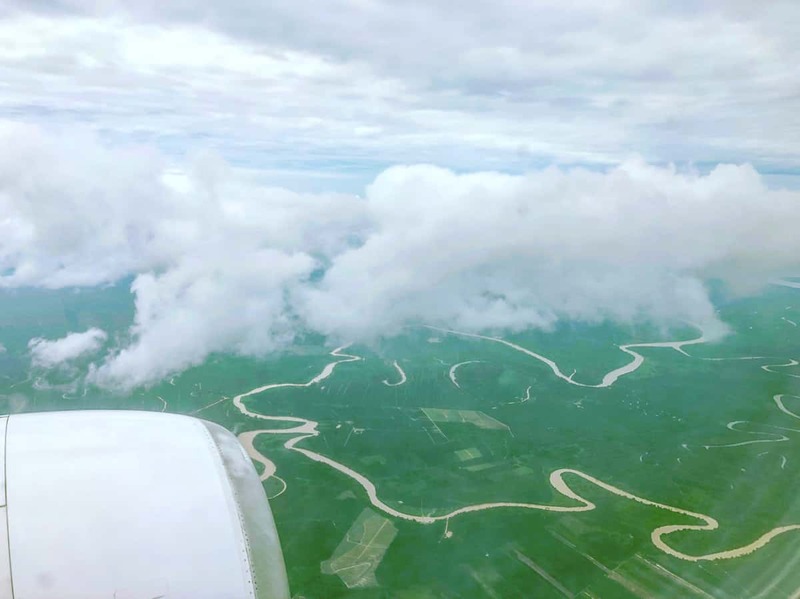 Rainforest conservation – why is it so important on the Kinabatangan River? 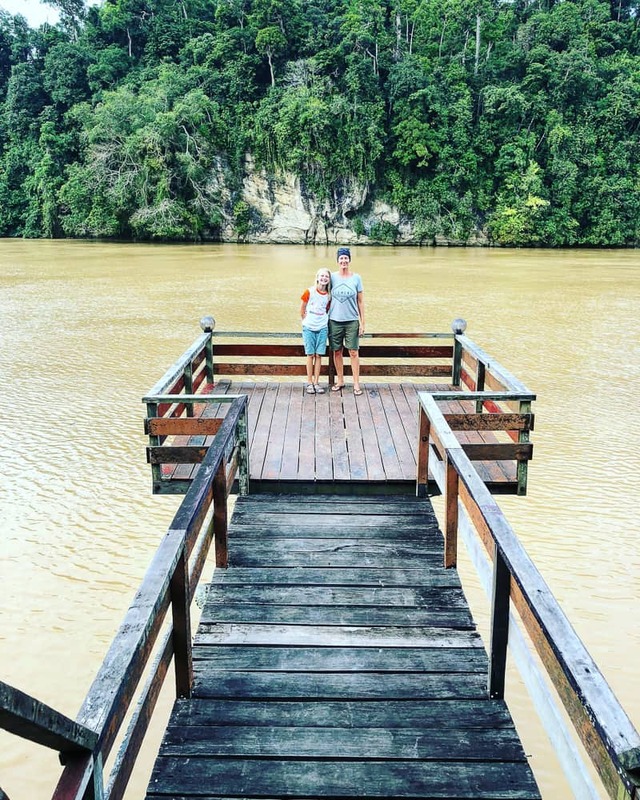 The Great Projects Borneo programme is perfect for first timer families thinking of taking the plunge volunteering overseas. 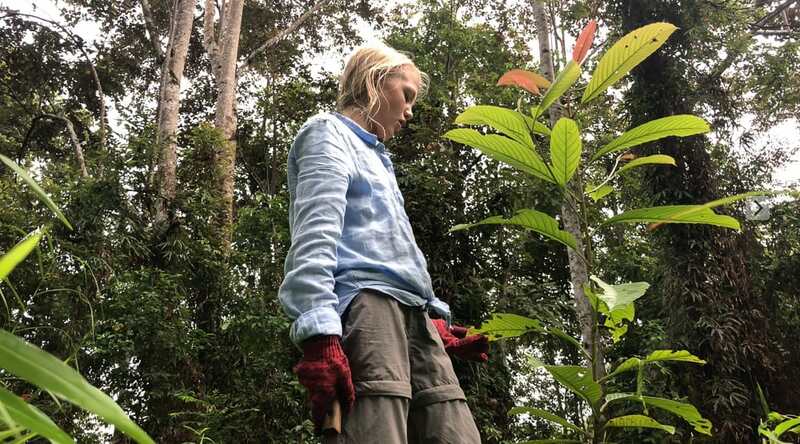 My 10 year old daughter and I travelled to Borneo on a family volunteering holiday to re-plant the rainforest. The idea was to get away from it all and spend some quality one on one time with my tween without pestering siblings & daily ‘household noise’! We’d always wanted to volunteer abroad when the kids were old enough, and so, after some months of anti-social behaviour from my tween coupled with constant sibling bickering, I made my mind up. We’d embark on an adventure to the other side of the world, far far away. Just the two of us. Why not? It made perfect sense to win back my tween and keep the corridor of communication open as we race towards the teens. As animal lovers, we were keen to take part in a wildlife volunteering project, which led us to team up with The Great Projects, a leading UK wildlife conservation company. The Great Projects partner with trusted local aid organisations in over 33 countries around the world to offer volunteering opportunities with a wide range of endangered animals. Offering over 9 different family volunteering holidays in 8 countries from the age of 8 upwards, The Great Projects is a great starting point if you’re looking for adventure family travel inspiration and perfect if you have animal obsessed children like us. We flew out to join their popular 6 night family volunteering project in Borneo. So if you’re itching for a new adventure with your tribe, read on to learn more about this project and watch our video diaries below. You can read our diary accounts and learn about the project on more detailed day to day basis by reading our second article here – Family Volunteering in Borneo with The Great Projects – Day by Day & Video Diaries. Here we are with one of the many tiny trees we planted during our Borneo volunteering programme. There’s Mus, our amazing guide, who taught us so much about the rainforest and it’s inhabitants in our much too short a time there. Thank you Mus! 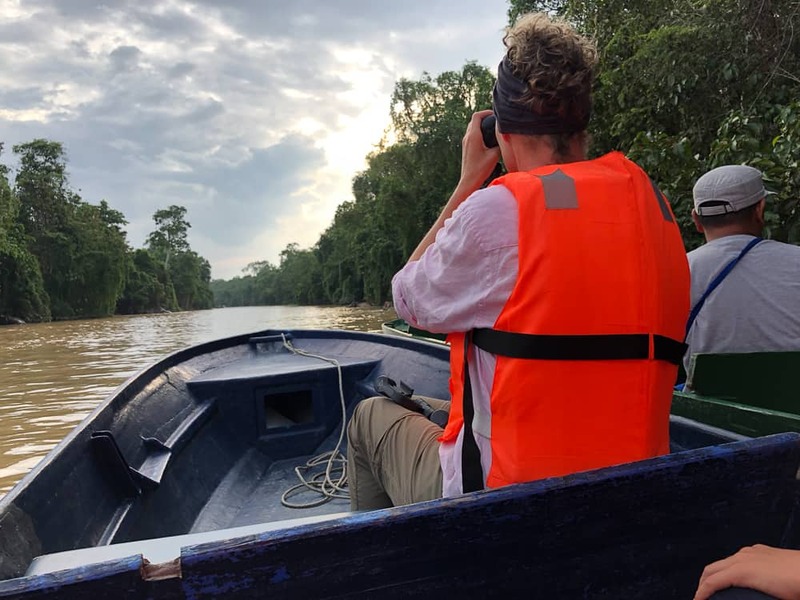 Based on the Kinabatangan River in Sabah, East Borneo, our 6 night family volunteering holiday centres on the plight of the depletion of the rainforest and why it is so critically important. Borneo, the third largest island in the world, and one of the most biodiverse places on our planet, is home to a staggering number of wildlife species. The most well known, the endearing and endangered orangutan. This programme focuses on rainforest conservation. Volunteers help to plug gaping holes in the rainforest canopy by maintaining and re-planting the narrow strip of rainforest flanking the banks of the mighty Kinabatagan River. Our efforts, even just over a few days, collectively, aids animal movement and alleviates the threat of loss of habitat for endangered species. This family volunteering holiday is the perfect taster for first timer families. The work in the rainforest is limited to only two mornings so relatively easy for children, whilst being engaging and fun. The daily river trips give unique opportunities to observe animals in the wild, such as pygmy elephants, proboscis monkeys and if you’re lucky, the elusive orangutan. This project gives a fantastic insight into the understanding of bio-diverse ecosystems and how the rainforest affects our world in a far greater spectrum than we can possibly imagine. We, incredibly, witnessed 67 pygmy elephants crossing the river during one of our daily boat trips. Watching matriarchs flank babies to protect them from crocs and seeing them using their trunks as snorkels merely 30 metres away will remain engraved on our memories and hearts forever. Where were we in Borneo? What is the “Corridor of Life”? 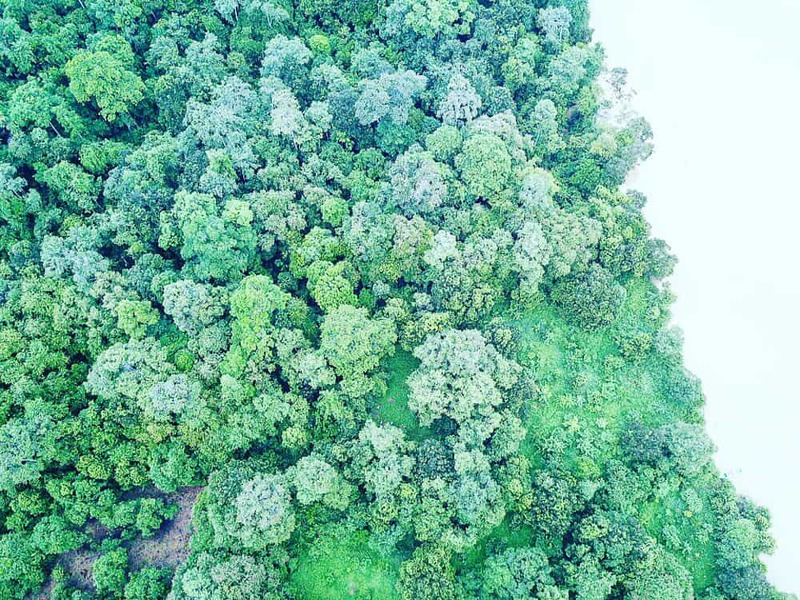 This narrow strip of critical rainforest on the Lower Kinabatangan, protected since 1999, is aptly called the ‘Corridor of Life’. It’s of paramount importance as it connects coastal mangrove swamps with upland forests and allows freedom of movement for it’s unique habitants. Incredibly, this is one of only two places on earth where 10 primates species can be found together, including the orang-utan, the proboscis monkey and the Bornean gibbon. Home to 250 bird species, 50 mammals, 20 reptiles species and 1056 plant species, the biodiversity here is mind-blowing. It’s also argued to be the last forested alluvial floodplain in Asian. Lets just say it’s a very special place on earth and it needs to be protected. My 10 year old daughter completely got that the rainforest canopy had holes that needed patching. 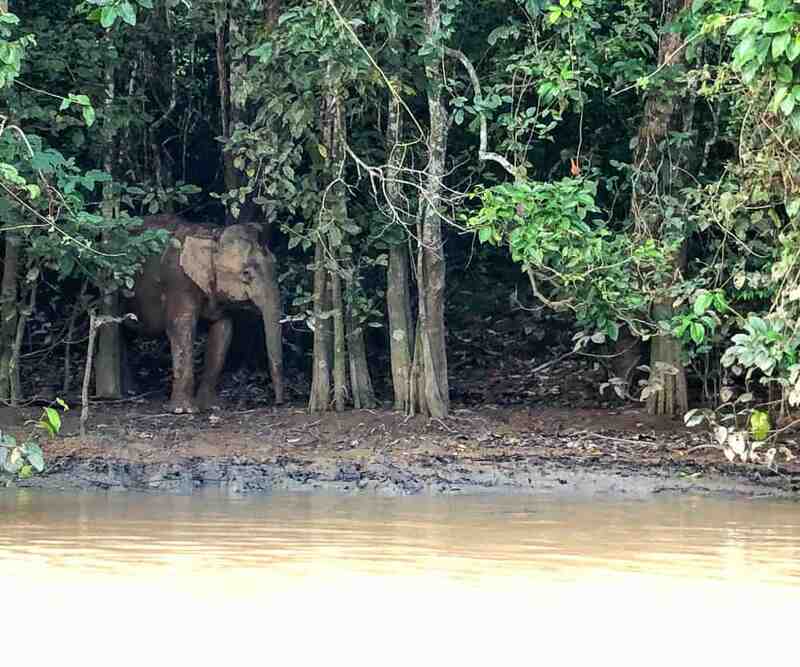 Helping to fix those holes to join the ‘corridor of life’ together meant animals can travel unhindered through the canopy along the river, from the sea mangroves downstream to the rainforest deeper inland. The Kinabatangan river is the longest river in Sabah and flows for 560km from Eastern Sabah to the Sulu Sea. Orangutans are arboreal creatures, which means they stay in trees, swinging from branch to branch. They need to move continuously eating fruits from the trees. With gaping holes or areas with no rainforest at all, they can’t do this. The work on this project is only for two mornings, for 2-3 hours in the rainforest helping to ‘weed’ young saplings previously planted by volunteers and to plant your own saplings. It’s very rewarding and an excellent way to educate your children first hand as to the plight of the rainforest and the fragile interconnected ecosystems here in Borneo. The remaining time on the project is spent with our local guide, wildlife spotting along the Kinabatangan River, sharing meals at a local homestay and learning about the local river people ‘Orang Sungai’ (people of the river). This family volunteering holiday was truly a trip of a lifetime. Not only did we learn so much about the rainforest and it’s ecosystems, we got to see first hand (and fairly close!) it’s unique inhabitants. If you’re interested on going on this very same family project, go over to read about our detailed day by day experiences here or watch our daily video diaries below. Day 1 Pick up from airport, stay in traditional longhouse near Sepilok. 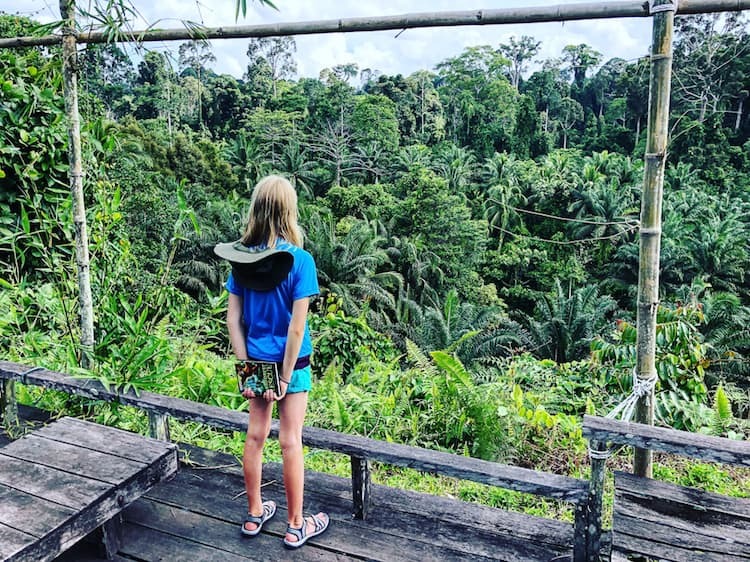 Watch our first day video diary with Minnie, 10 years old, discussing how she feels arriving in the rainforests of Borneo for the first time. Watch Minnie talk you through our first morning of work in the rainforest in her video diary Day 3 Part 1 below and further below, chatting about her day. This was our first family volunteering holiday we’d ever experienced and we throughly enjoyed it. The Great Projects were exceptional in every way from the booking and organisation of the trip, as well as the in-country team and the local aid organisation. We wouldn’t hesitate to book with The Great Projects again and we can fully recommend them to any adventuring family looking for a holiday with a difference that will be imprinted on your memory forever. Wildlife spotting and conservation holidays will continue to be a real focus of ours as a family. From gorilla trekking in Uganda (minimum age 15) to turtle conservation in Borneo, there are so many incredible wildlife experiences around the world for us & our children to witness. What has been your most treasured wildlife encounter? We would love to know trusted wildlife tours you’ve been on that you’d recommend for families. Want to read more? 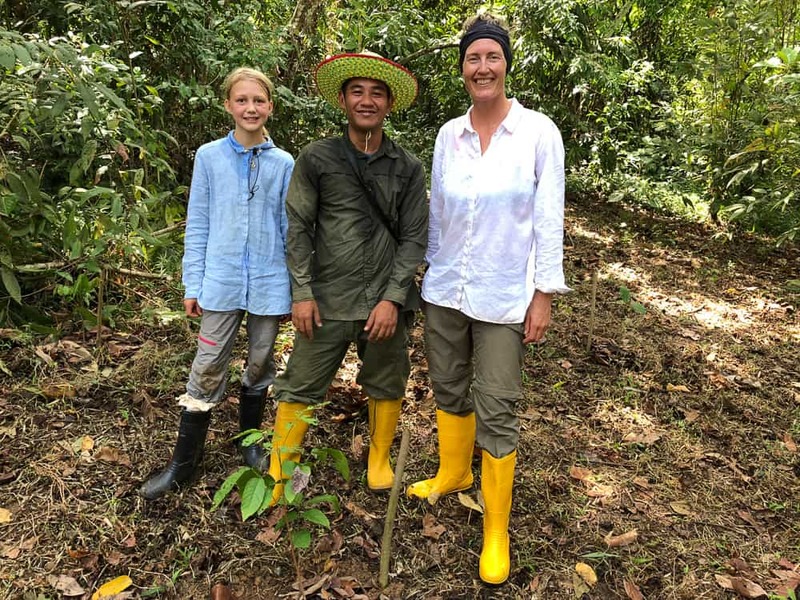 Read our second article on Family Volunteering in Borneo which gives detailed day by day accounts of our 6 night rainforest conservation project. Disclaimer: The Great Projects provided us with complimentary places on their family volunteering holiday in Borneo. However, all opinions are, as always, entirely our own. What an all round amazing experience. Those pygmy elephants!! Not something to forget, ever!! Hi, thanks for sharing these posts (came for a read after seeing your Insta post). This looks amazing! I would so love to do this but will need to wait a couple of years as our kids are currently 6 and 4. They’ll be 7 and 5 when we are looking at Borneo but still too young for working with this company. Something to look forward to in the future! !